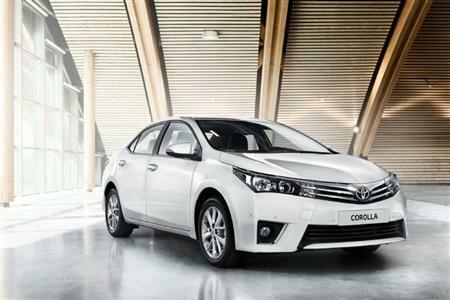 The new Toyota Corolla sedan is due in Australia in 2014. The next-generation sedan version of the world's best-selling car - Toyota Corolla - has been revealed in two distinct guises on two continents. A Corolla sedan exhibiting European style was unveiled in Istanbul, Turkey, while another sedan, with a markedly different frontal design, debuted more than 10,000km away in Santa Monica, USA. The two cars retain key styling cues from the Corolla Furia Concept which was shown at the Detroit Motor Show in January 2013, while delivering their own unique interpretations of the show car's expressive design. The European version is destined to be sold in most Corolla markets around the world while the alternative treatment is targeted mainly at buyers in the United States. Toyota Australia has confirmed that the European car is closer in appearance to the model that will be launched in Australia during the first half of 2014. Global reveals of the new sedan coincide with the release of sales figures that confirm Corolla is the best-selling car in Australia so far this year (May YTD). Along with the hatch launched in Australia late last year, the new sedan is the 11th generation Corolla. It will be built in 16 locations and sold in more than 150 countries. Toyota's next-generation Corolla sedan, revealed overseas, features an all-new exterior design with clean lines and balanced proportions that impart a more sophisticated and contemporary look. Front styling is based on Toyota's two key design pillars - "keen look" and "under priority" - that deliver a refined character and prestigious appearance. Toyota's "keen look" approach incorporates horizontal bars in the slim upper grille that extend into the new headlamp clusters, underlining the width of the car and the elegance of the design. The lower trapezoidal grille, which is central to Toyota's "under priority" design language, is more refined in the new sedan. In profile, the short front and rear overhangs - combined with the long wheelbase and prominent wheel arches - underline the new Corolla sedan's dynamic stance and elegant proportions. At the rear, the crisp line of the boot lid is underscored by wide new taillight clusters for a cleaner, more premium appearance. The new Toyota Corolla sedan's all-new interior design offers customers a significantly roomier and quieter cabin. Its width is emphasised by the new horizontal dashboard panel that incorporates a larger instrument binnacle. The driving position has been improved with a lower-set seat and an extended range of adjustments. New Corolla sedan's rear cabin delivers a more spacious environment with redesigned seats for greater flexibility and comfort, plus expanded rear knee room. 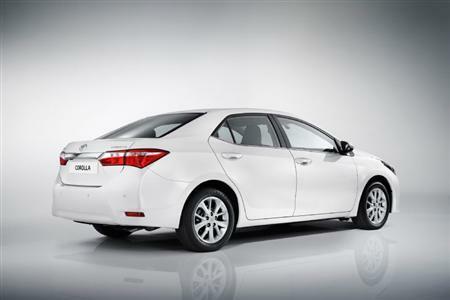 Next Car will have further details about the new Corolla sedan closer to the local launch date.